Goaltending coach by trade, Jordan Sigalet must have felt more like a Wal-Mart greeter the last few years. Jonas Hiller, Karri Ramo, Joni Ortio, Niklas Backstrom, Brian Elliott, Chad Johnson, Jon Gillies, David Rittich, Mason McDonald, Tyler Parsons, Brad Thiessen, Doug Carr, Kevin Poulin, Kent Simpson, Nick Schneider, Tom McCollum. Sixteen goalies have come through the turnstile since Sigalet was named Flames goaltending coach in August 2014. And you can add another two names to the list with the additions this summer of Mike Smith and Eddie Lack, who will form the organization's NHL tandem in 2017-18. "It's exciting," says Sigalet, who prior to coming to Calgary spent three seasons working in the same capacity for the Flames' AHL affiliate in Abbotsford. "I've talked to both guys already. I'm going to get out to see each guy this summer, just to sit down and go over some different things with them. Two big goalies that play a similar style." In his current role where he oversees the development of all the club's goaltenders, Sigalet admits the constant turnover makes the job more challenging. "That's the hard part about changing goalies every year, it's building the relationship, earning their trust before you can really make changes to their game," says the 36-year-old. "So that's why I'll try to do as much as I can this summer through phone calls or going down and meeting with them, having dinner. The quicker you get that trust, the easier it is." It's also an entirely different dynamic when you're working with a veteran player versus a kid right out of the draft. Smith, 35, is just 13 months younger than Sigalet. Lack will turn 30 in January. Both have been around the block. "It's a big difference," says Sigalet. "With younger guys, you're usually making bigger adjustments. 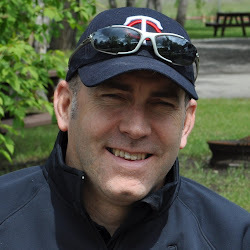 A guy like Smitty, who has played the same way for a number of years, you're a second set of eyes for him, you're a sounding board, you're going to make little tweaks maybe through video and on the ice but you're not making drastic changes." Getting a fresh start after being buried in the desert for six seasons, Sigalet expects Smith, a proven No. 1, to embrace being on a playoff contender. "Smitty's a highly competitive guy, he wants to win. Everything about him we love from his puck moving to his compete level and to his athleticism." Lack is an interesting acquisition in that his NHL career has had two distinct chapters. Breaking into the league with the Canucks, his .917 save percentage from 2013 to 2015 ranked him 20th (of 47 goaltenders with 40-or-more starts). The sometimes quirky and always laid-back Swede appeared to have a bright future ahead of him. Well, heads British Columbia, tails Carolina. Acquired in June 2015 for a pair of draft picks, his performance with the Hurricanes was quite the opposite. His .902 save percentage in two seasons ranked him 51st in the NHL (of 52 goaltenders with 40-or-more starts). "When Eddie first got to Vancouver, he was probably a little bit aggressive. (Goaltending coach) Rollie Melanson did a great job of dialing him back in his crease a little bit," explains Sigalet. "A 6-foot-5 goalie covers a lot of net, he doesn't have to be over-aggressive." But Lack's play regressed badly in Carolina under the tutelage of David Marcoux. 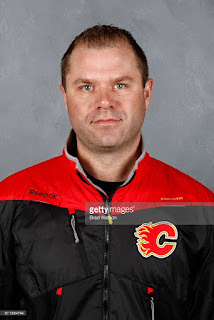 If that name sounds familiar, he was the Flames goaltender coach for the first four years of the Miikka Kiprusoff era. He is also now a free agent as it was announced at season's end that his contract would not be renewed. "Watching him over the last couple years, it looked like he was trying to play outside his paint a little too much again, which is a hard adjustment for him, obviously," says Sigalet. "I talked to him last week and said let's get you back playing like Eddie Lack, playing where you're comfortable and not playing like somebody else." 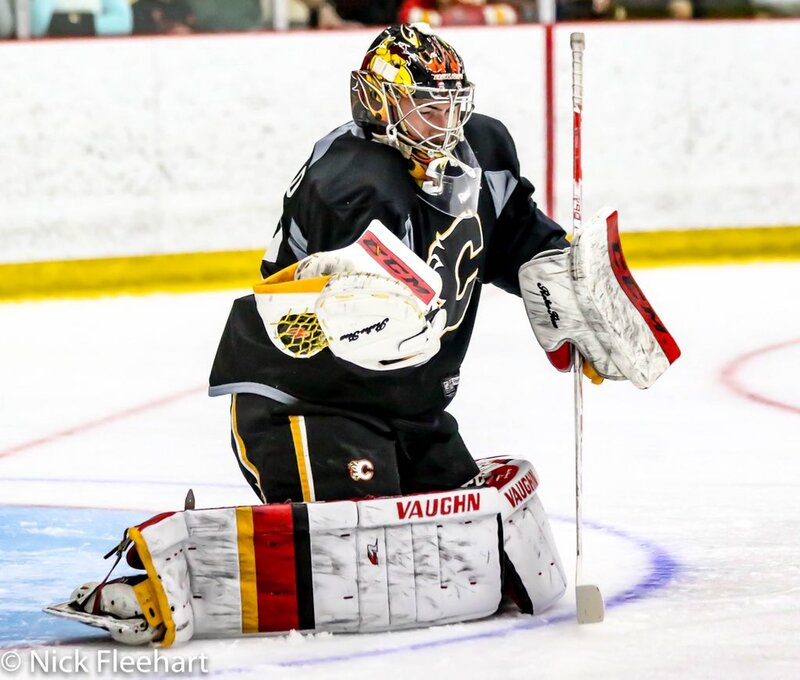 While the Flames have completely gutted and rebuilt their crease at the NHL level two summers in a row, there has been stability with the goaltenders in the pipeline. All five from last season are back and with Calgary not drafting a goaltender this year, there are no additions either. Of that group, Tyler Parsons is where most eyes are affixed. The young man, who has won a Memorial Cup for London and a World Junior Championship for the United States, is not necessarily the closest to playing in the NHL -- he has yet to play his first pro game -- but the 2016 second round pick is viewed by many as the prospect with the highest ceiling. Turning 20 in September, it's clear he feels it's time to graduate from the OHL and move onto the next level. "For the past three years, that organization has treated me so well and I couldn't thank them enough, and I could possibly play another year there," Parsons says. "But I'd love to start my pro career and I feel I'm ready for it." Sigalet agrees that moving on from major junior is the best next step for him. "He needs the challenge. Play against men, play at the pro level. I think he's done all he can do at that level, he's proved himself." He's only been in the organization 13 months but Sigalet has enjoyed working with Parsons. "He's such a student of the game. You tell him something and right away he's making the adjustment," says Sigalet. "Plus the kid just knows how to win. He's won on every stage so far. Another good playoffs this year. Losing in game 7 in overtime was tough for him but he carried that team to the playoffs again." 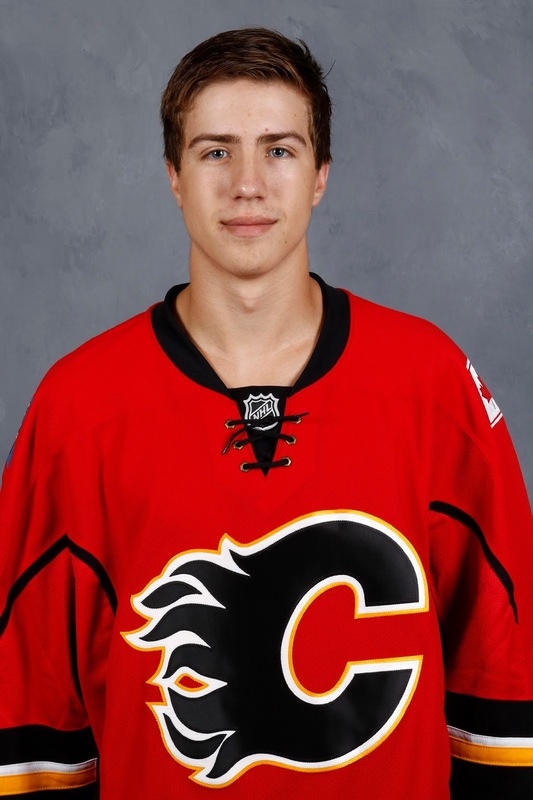 Parsons looked the part last week at Flames development camp too. For someone who had only been on the ice twice since May, you never would have known. "With the compete level he has, the athleticism he has, he's got a bright future and a special skill set," effuses Sigalet. "We're excited about him and now it's deciding what we want to do with him whether it's junior for another year or find a place in the pro ranks for him." I'd bet on the latter. 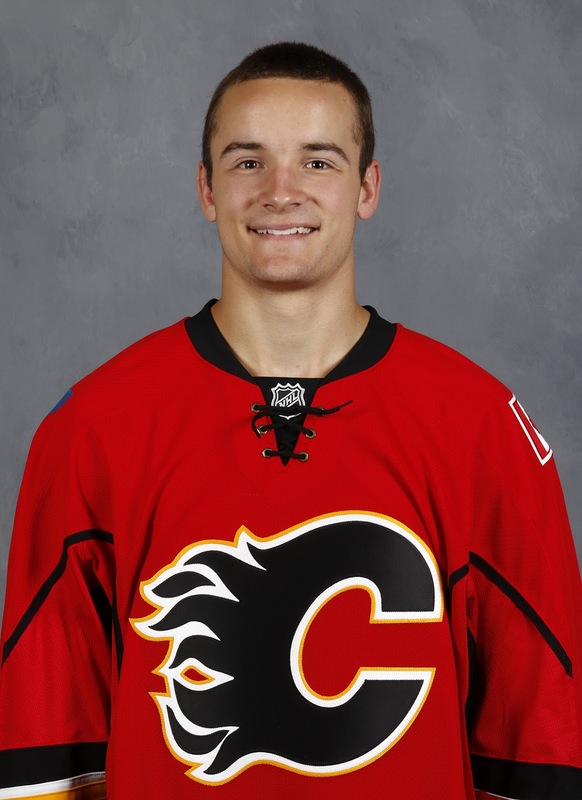 Calgary's brass knows this guy is special and returning him to junior doesn't make a whole lot of sense. Expect him to end up in Kansas City, the new home of the Flames' ECHL affiliate. "It is tough. I don't know where I'm going to play yet," says Parsons, pondering his packing strategy come September. "Coming from Detroit, that's pretty far to go to Cali or the new team in Kansas, or I could end up back in junior. It has me on my toes a little bit but it's part of the process and everyone's got to go through that." The reason Parsons will likely be wearing a Mavericks sweater is the presence of Jon Gillies, 23, and David Rittich, 24. Both are expected to be back in Stockton after splitting starts for the AHL team last year. 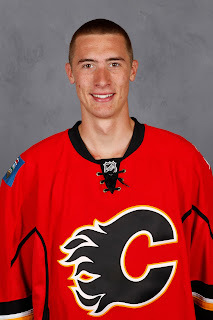 With his two seasons of experience in the top Czech league, prior to signing with the Flames, and with a year in North America on his resume now, Rittich is knocking on the door. It's a door that could be opening soon with Lack just one year away from free agency and Smith having only two years to go on his contract. "He's very close," says Sigalet. "For him, it was adjusting to the game over here with more traffic, the smaller ice and he's done that well." 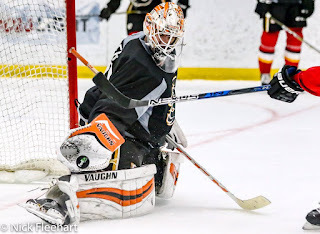 After taking over for Gillies halfway through game 2 in last year's AHL playoffs, Rittich then got the start in games 3, 4 and 5 as Stockton was edged out by San Jose in the first round, the final game decided in overtime. Rittich was 15-11-1 with a 2.27 goals-against average and a .924 save percentage in the regular season. That ranked him second amongst rookies in GAA and SV%. His five shutouts was tied for second amongst all AHL goalies. He fashioned a .917 save percentage in the playoffs. "Seeing him live for the first time last year was exciting. You never know how it's going to translate, from what you see on video from his game in Europe, to North America," says Sigalet. "He came over, he couldn't speak any English and now he's almost fluent in English. It shows the character of the kid too. He wants to learn, he wants to get better." But don't overlook Gillies, who has a World Junior gold medal with Team USA to go with a National Championship with Providence College, he is right there as well. Last year was his second pro season but his first full season after missing most of 2015-16 due to hip surgery. His stats were not as good as Rittich -- 18-14-1 record, 2.93 goals-against average and .910 save percentage -- but after missing nearly a full season, some rust was to be expected on his 6-foot-6 chassis. "He missed a lot of time and he got off to a little bit of a slow start at Stockton, but by the end of the year, you could tell he was back in the rhythm and comfortable again playing pain free," says Sigalet. "This is going to be a huge year for Jon. He's knocking right at the door. He showed it in his game in LA this year that he can do it. Now it's just doing it on a consistent basis and proving that he can do it at this level full time." Two good goaltenders. If only they could each play more. When the AHL formed the Pacific Division a couple years back, one of the league's concessions to address travel concerns was a reduced schedule of 68 games for the California-based teams (plus Tucson) compared to the 76 games played by the rest of the 30-team league. "With the less games and when you have two goalies you want to develop, it's a little bit harder. You don't have the three-in-three's, it's almost like a college schedule," says Sigalet. "They do get more practice and development time but for two goalies, it's tough to split and you can't compare anything to games. Games is where you're going to develop and get ready for the NHL level so the more games those guys play, the better." A forgotten man, although not that far removed from being the first goaltender off the board in his draft year, is Mason McDonald. The Halifax native selected 34th overall in 2014 turned pro a year ago. He spent last season in the ECHL where he was 13-9-3 with a 2.72 goals-against average and an underwhelming .897 save percentage. Going from a poor team in Charlottetown in which he was regularly shelled with shots to a great team in Adirondack, one of the best in that league, was quite a difference. Less action for a goalie isn't as ideal as you might think. "A bit of an up and down year. Biggest adjustment for Mase was going from playing in the Q where he was facing 40, 50, sometimes 60 shots per game to playing in front of a real good team in Adirondack where some nights he's facing 25 shots," says Sigalet. "It takes some time to adjust to that and as the season went on, he did adjust." For example, last year McDonald faced less than 25 shots 14 times out of his 29 games. That's nearly half of his games. In his final year in the QMJHL, only four times out of his 39 games did he face that few shots. Sure enough, he was better when he was busier. In fact, much better. In the games in which he was tested more than 25 times, he had a .919 save percentage. In the other games, that number fell to .860. Sigalet says he went through the same thing as a player himself so he is very familiar with how that can effect you between the ears. "It's more tough mentally because when you're getting a lot of shots, you don't have time to think, you're just playing. When the play is in the other end a lot of the time, sometimes you overthink the game. "The other goalie is getting 40 shots and you're only getting 20 and he's standing on his head. Then they come down and score one on you because usually in that scenario the shots they do get are good chances, on the power play, etc., you do start to overthink. It's not easy. You have to be tough mentally when you're playing with a good team in front of you." 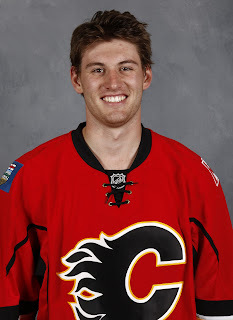 The other kid in the Flames system is Nick Schneider, who turns 20 on July 21. Easily forgotten given the logjam of goalies ahead of him, Schneider continues to be in the picture, even though he's in the background at the moment. He will definitely be back in the WHL for one more season where he'll be playing right under the nose of Sigalet. Schneider was traded in the off-season from Medicine Hat to the Calgary Hitmen. "He had a great first half last year then he got sick and missed a lot of time. He lost some weight. It really affected his second half of the year. They ended up bringing in another goalie and he didn't see a lot of ice time." He should see plenty of playing time at the Saddledome this season. 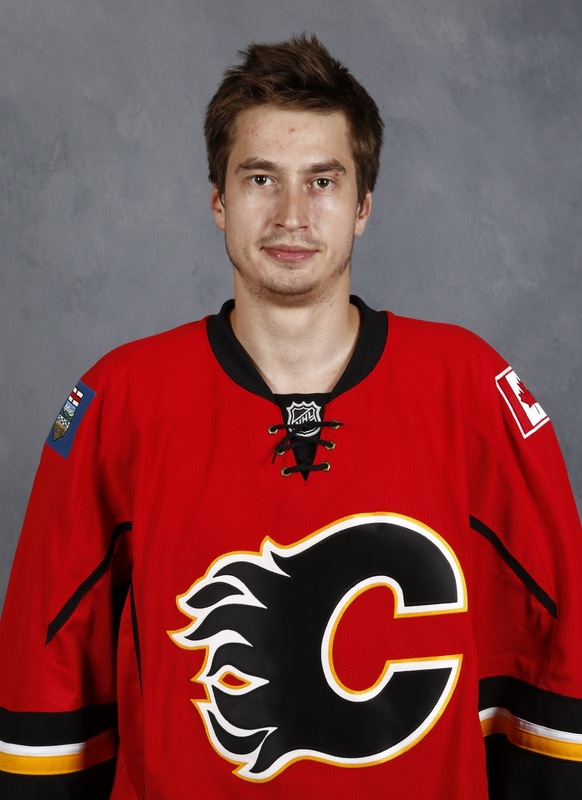 "The change to Calgary is going to be great for him. Play a lot, work with (Hitmen goaltending coach) Jason Labarbera on a daily basis, which will be great for his development," says Sigalet. "He put back on all his weight and then some this summer so he's strong again, he looks healthy. A great character kid to have in our organization and someone we haven't given up on." Sigalet does empathize with Schneider and how he must feel when he looks at the depth chart, but he can only control what you can control and that's his own play. "It's a grind but you keep working hard and if you don't get a chance here, everyone else is watching so there's always opportunity somewhere else." It sets up to be a fascinating next couple of seasons between the pipes for this organization. NHL Goaltender Idol -- may the best man win. Another great article, I don't know about you but this regime seems to get drafting, developing building from within (almost seems like the ole Detroit philosophy). I imagine that in some part this is due to all the time Treliving spent in AZ. They have always been a budget not a cap team, and in the new salary cap NHL you need to put more emphasis on player development. 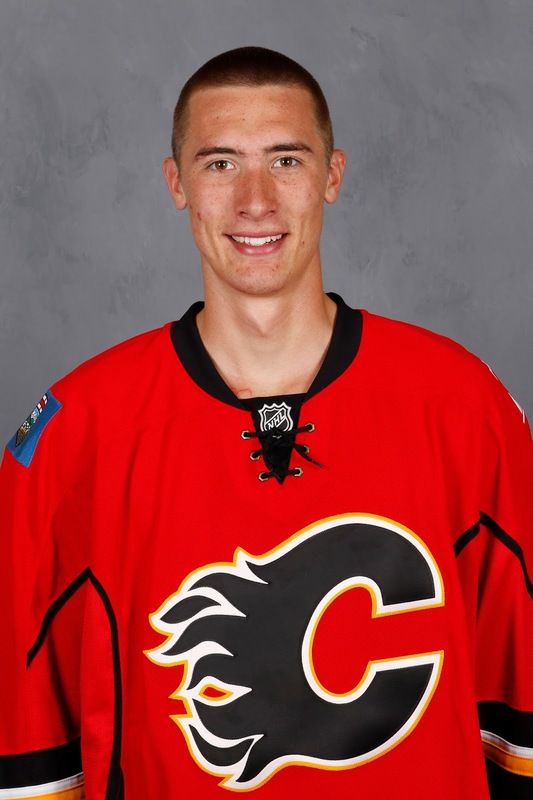 The Flames coffers now seem full in net, on defense and at forward with an array of potential prospects that might end up becoming future NHLers. Way to go Flames. Thank you. The minor league system does have a bit more depth to it than we've seen in the past. It's what has enabled the GM to peddle draft picks lately, knowing that they feel they have guys at all positions coming that have NHL capabilities. Now it's a matter of will they fulfill those capabilities. This is July and the off-season is always a time of optimism for most franchises. 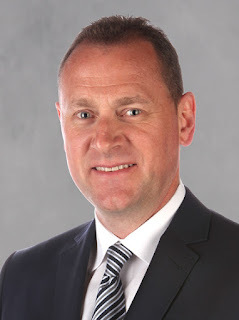 But Brad Treliving does understand that you need to grow your own to get the best quality young players and you see that reflected in his moves where he refuses to part with prospects in any of the transactions he's made to bring in players.